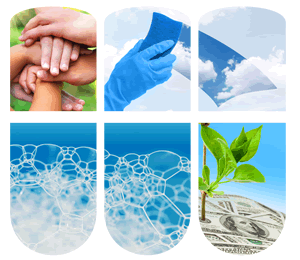 RMC has a pioneering position in the development of sustainable programs. We work with our customers to help identify the right chemicals and equipment for their need and implement strategies for reducing resource usage, operating costs, energy consumption, water use, and environmental footprint while simultaneously increasing productivity and profitability. We can create the sustainable program designed to help you improve your operations and produce a higher quality product for your customers.